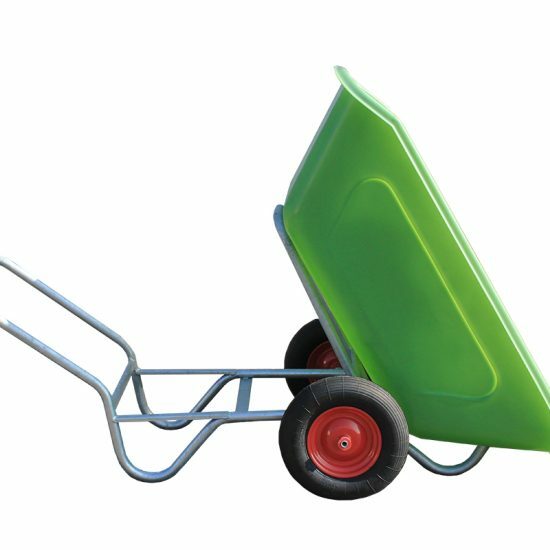 We are Wheelbarrows Direct are proud to now be the only UK stockist of ROTO high quality tipping wheelbarrows. 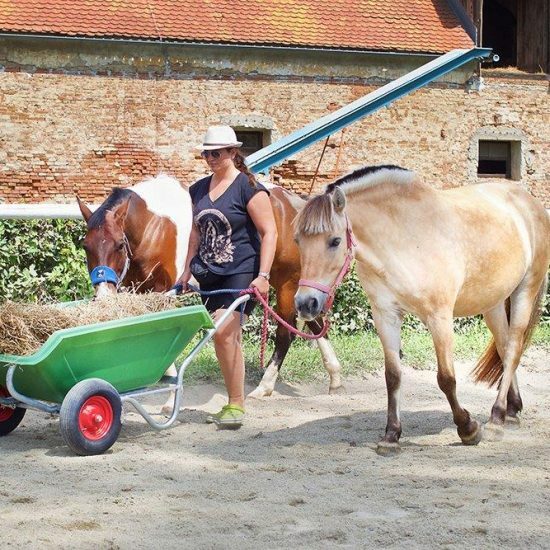 The ROTO brand has seen some substantial growth in Europe and through our joint collaboration we are now able to introduce the new range into the Equestrian world. 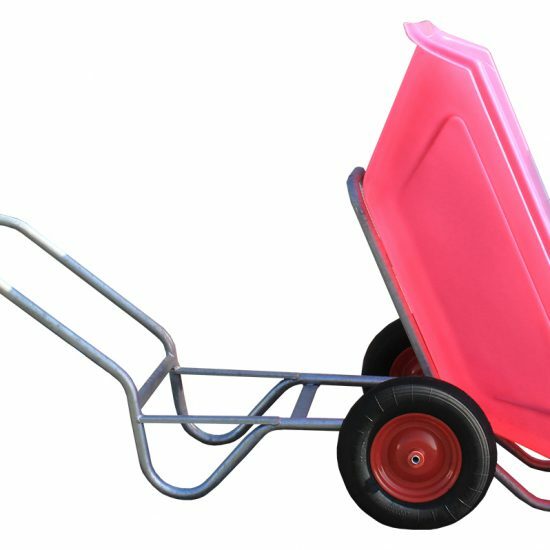 We have rigorously tested their products and with full UK assembly and our renowned 5 point safety check, you can be sure that the ROTO range will deliver on our brand promises. 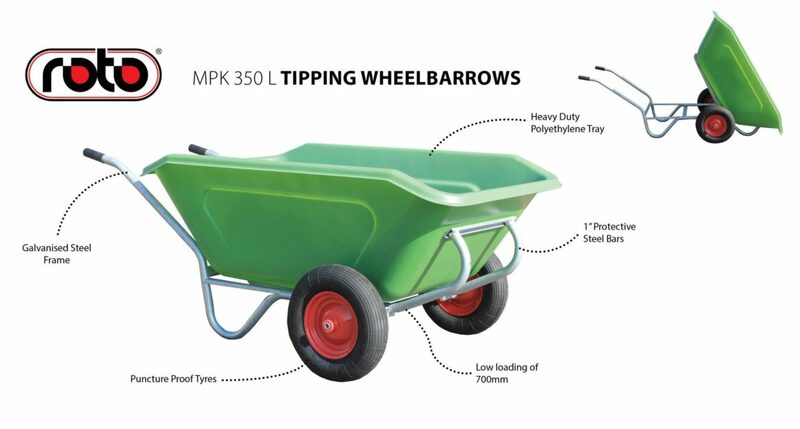 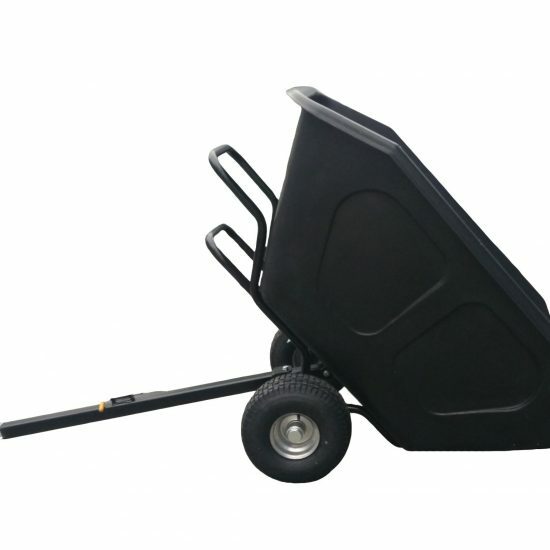 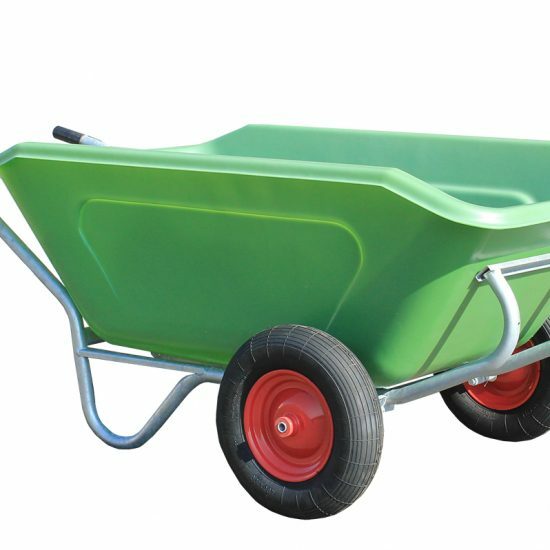 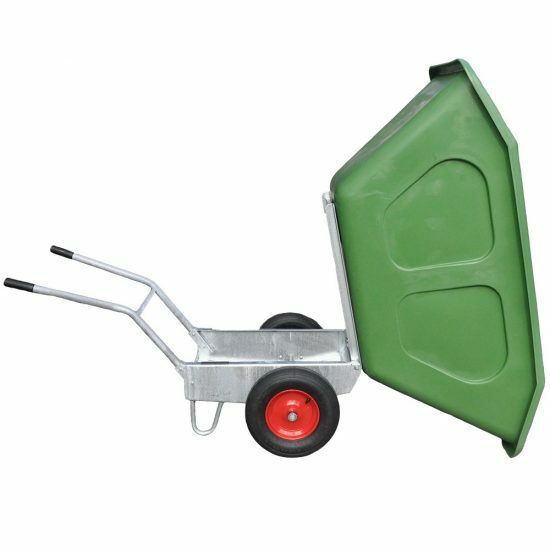 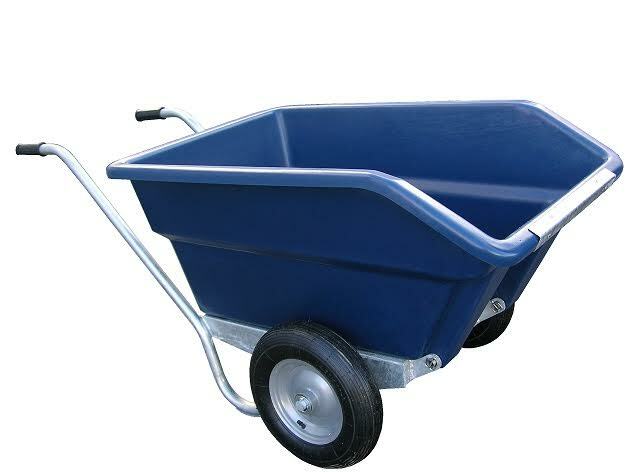 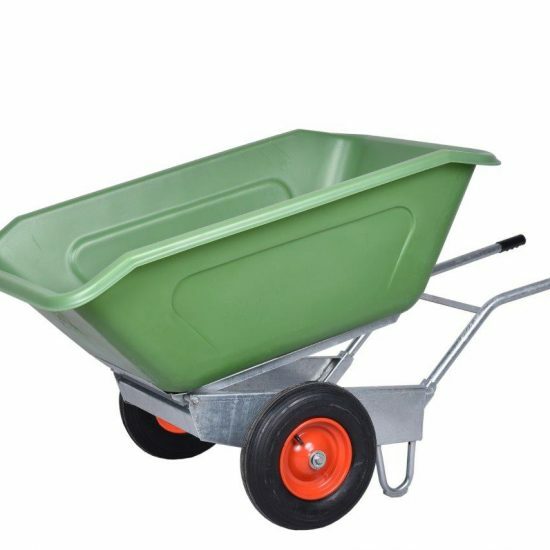 This is a renowned wheelbarrow used extensively in agricultural, equestrian and industrial environments. 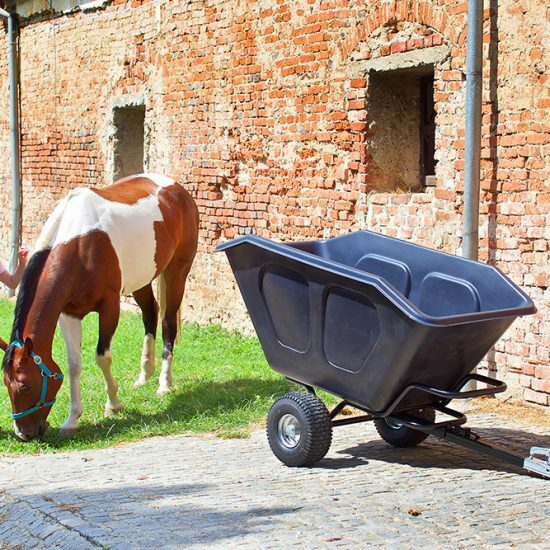 We have seen a recent trend for private use with large estates and landscapers developing and it’s ease of use and mobility is particularly good to reduce physical strain. 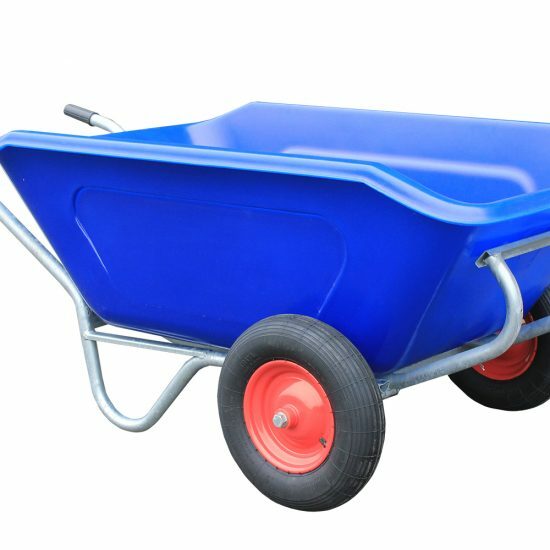 The 250 Litre capacity also gives way for it’s mult purpose use as it is of great benefit for mucking out, hay, grass, gravel and the transit of general waste materials in bulk amounts without the use of any real effort. 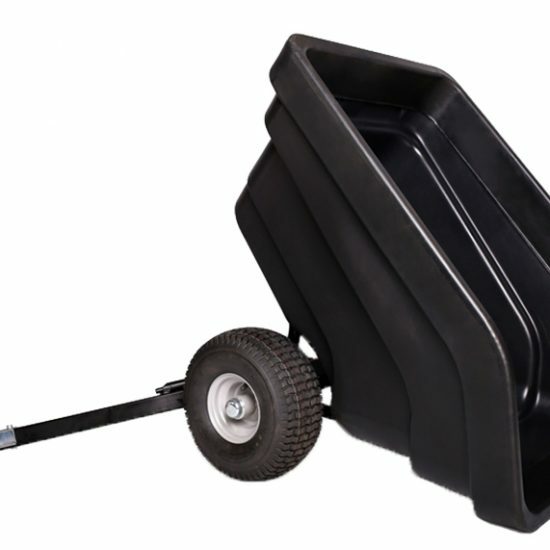 The metal plate on the front lip is perfect to withstand impact also adding to the longevity of the wheelbarrow. 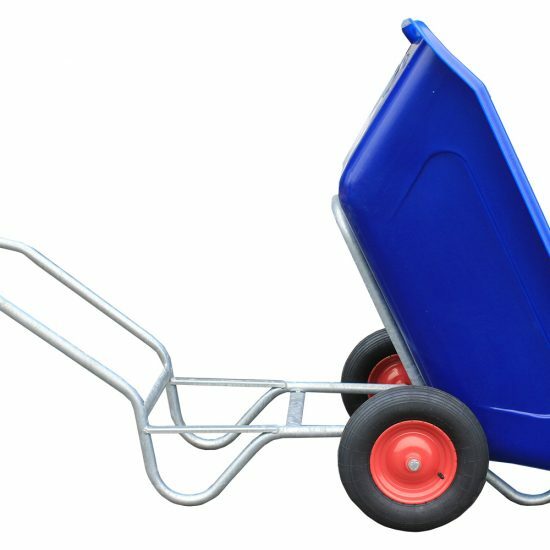 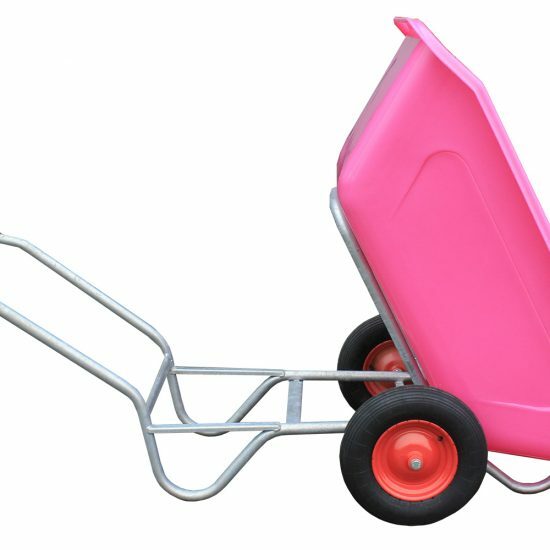 We conduct a 5-point safety check on every wheelbarrow before we dispatch so you can be sure that it will be ready to use when it arrives. 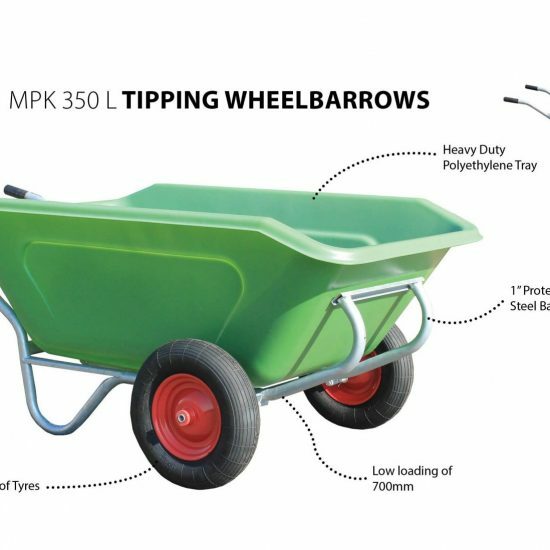 Tipping Wheelbarrows provide an alternative to the traditional style and with puncture proof wheels, provide easy transportation for mucking out in any conditions.